Hennessey seem to always be ahead of the game when it comes to taking a new muscle car release and making it even more potent. This time it’s taking the upcoming Dodge Challenger Hellcat Redeye’s 797bhp and bumping it up to 1,035HP and torque from 707 – 808lbs. ft. 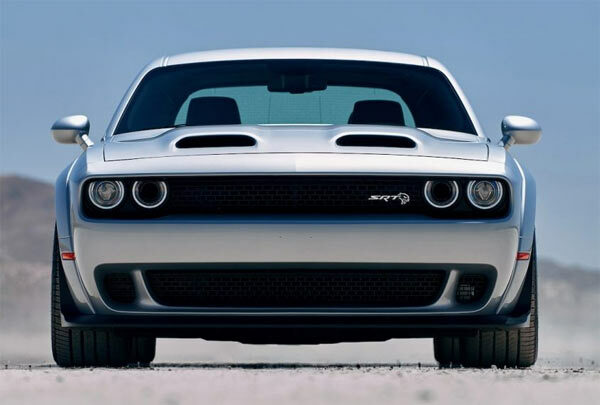 This could potentially make a lot of Dodge Challenger fans happy who couldn’t get their hands on a Demon, as the Redeye inherits some of its features. The extra power comes in the form of Hennessey’s HPE1000 package as listed below, which in reality makes 880Hp to the rear wheels (1,035 engine hp) and 806 Rear Wheel lb-ft torque (948 engine torque) at 4,200 rpm. Each package will be roadtested for 200 miles and thoroughly tested on a chassis dyno. There are no official figures yet for the 0-60mph or quarter-mile times for the Hennessy package. A standard Challenger Hellcat Redeye can do the 0-60 mph in 3.4 seconds and quarter-mile in 10.8 seconds at 131 mph. So, the Hennessey Redeye should easily be able to beat these figures. If you’re already in the market for a Hellcat Redeye I want to make it even more ridiculously potent, then this could be the package for you. The full package costs $34,950 on top of the cost of a Hellcat Redeye.